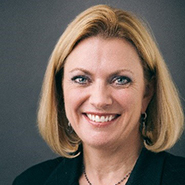 Carla Christofferson is Executive Vice President and Chief Legal Officer for AECOM (NYSE: ACM), a premier, fully integrated infrastructure firm that designs, builds, finances and operates assets for governments, businesses and organizations in more than 150 countries. In this role, Ms. Christofferson oversees all aspects of AECOM's global legal function and leads its team of more than 200 lawyers, legal and compliance professionals and support staff. Her areas of responsibility include litigation, government affairs, ethics and compliance, SEC-reporting requirements, M&A and other transactional-related legal activities, and all legal support of global operations. Beyond her legal responsibilities, Ms. Christofferson oversees the risk management, IT security, security & resiliency and safety, health & environment departments. She is also a member of AECOM's Executive Leadership Team at the enterprise level. Prior to joining AECOM in 2015, Ms. Christofferson was Managing Partner at O’Melveny & Myers, LLP, in Los Angeles — a position she held since 2008. During her 22-year tenure at the firm, she represented clients in a number of industries, including power, energy and oil and gas. Ms. Christofferson has always been active in the Los Angeles community sitting on the boards of the Los Angeles Library Foundation and the Metropolitan YMCA. She was also co-owner of the Los Angeles Sparks Women’s National Basketball Association team from 2006 - 2014.